A funny thing happened on the way to MY life…God stepped in. Today I am a stay-at-home mother of two… and did I mention that I’m also a pastor’s wife! No, this wasn’t how I planned things (maybe I should have taken that left turn at Albuquerque?) but I know this much…God has blessed me beyond anything I could have imagined for myself! 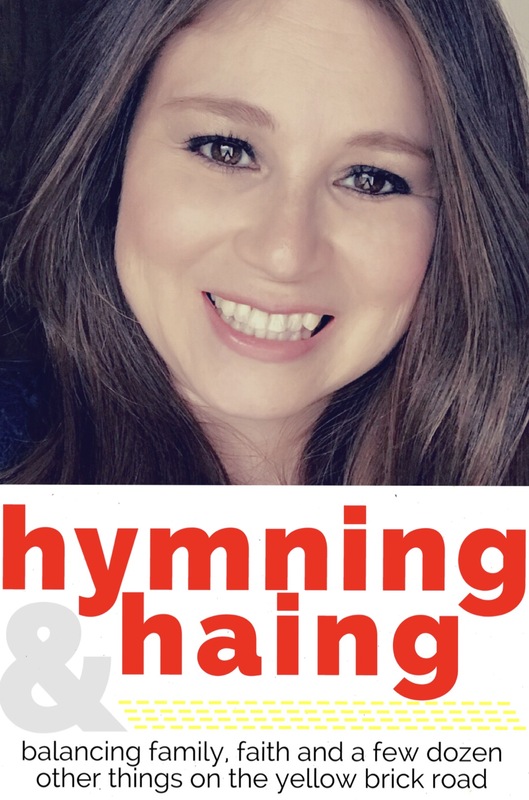 While this blog is relatively new, hymningandhaing (The Title Explained), I don’t mind telling you that God has had this in the works for years. Here you’ll find posts about current events, everyday life, developing faith, as well as my (mis)adventures as a pastor’s wife, mother, daughter, sister, and friend. But through it all, I hope to express God’s work and constant presence in my life. I pray that this blog will speak to you, provide inspiration, and if nothing else…make you laugh. God is good! And, he has amazing plans for you and me. Anna Spencer makes her home in the heartland. A graduate of the University of Kansas, she is a die-hard Jayhawk fan and has a degree in broadcast journalism. She has worked in television news, public relations, and as a freelance reporter/writer. Anna – Thanks so much for reading and saying such lovely things about Sundays in America. I’m grateful. Happy and blessed new year! I am humbled that you came upon my blog! I have recommended your book throughout the year and will continue to do so. I love the idea of visiting a different church every Sunday for a year and appreciate the amount of time and energy it took to make it all happen. Truly a wonderful read. Happy New Year!